Move over unicorns and make way for the llamas! Llamas are everywhere at the moment and really what’s not to love about these quirky animals?! 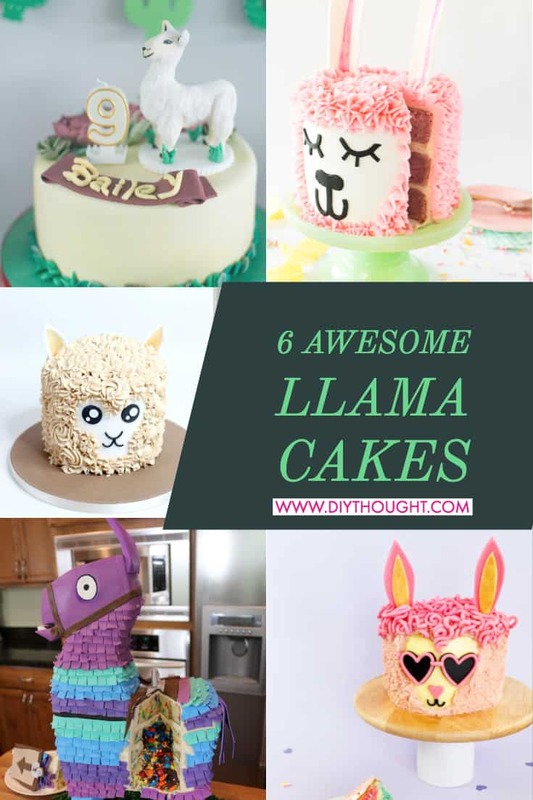 We have found these 6 awesome llama cakes which are certain to bring a smile to every llama loving kid and adults face. 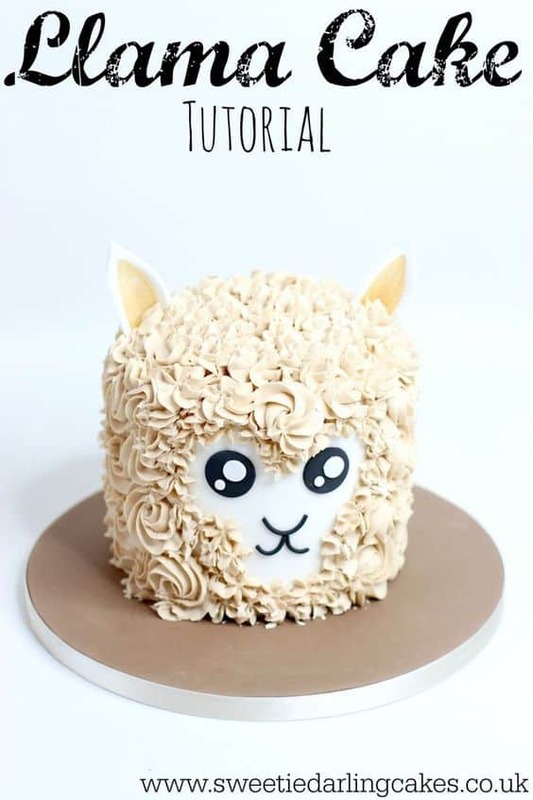 There are both video and written tutorials here and different styles of llama cakes. 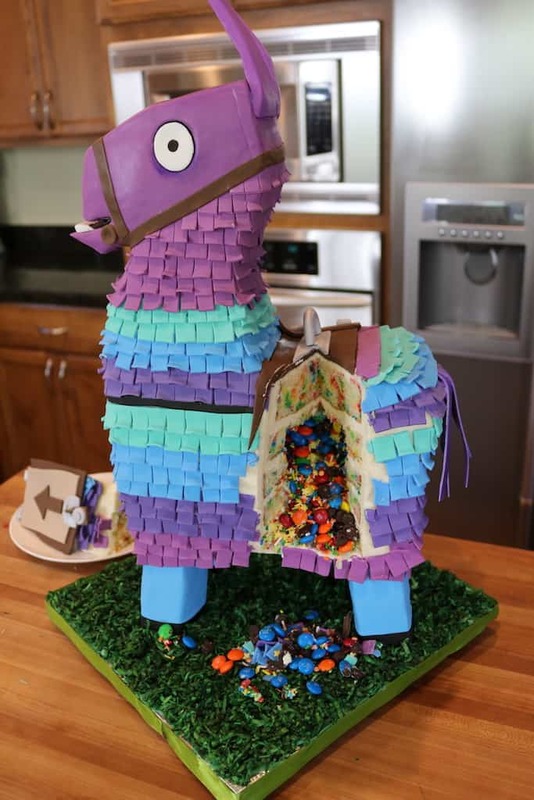 It doesn’t matter if you are wanting a Fortnite llama or a cute llama we have all of your llama cake needs covered here! This is one stylish llama. 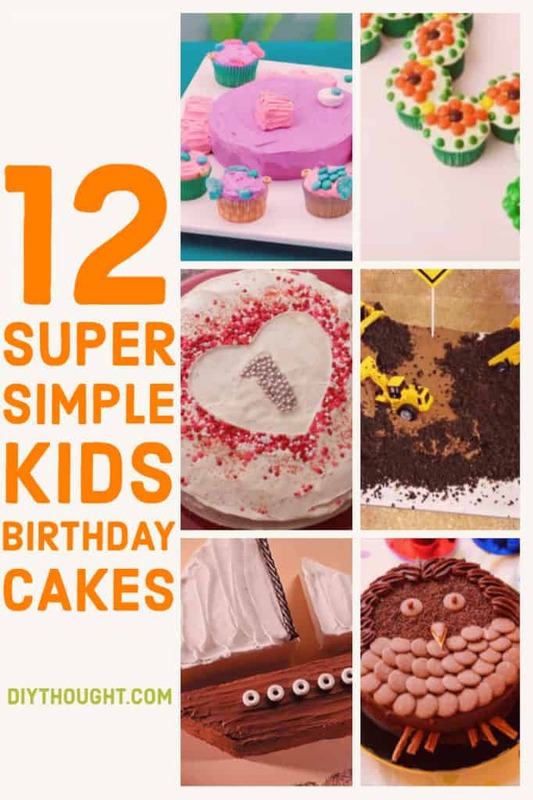 A beginner friendly cake which is perfect for a kids birthday party, how great is that! Icing In Sight has a detailed tutorial to follow so making this cake is almost guaranteed a win! 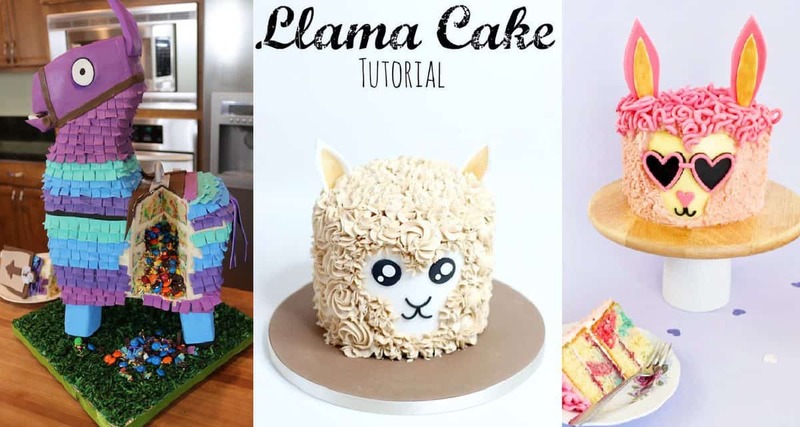 This is a great video to pick up tips and tricks in creating your own awesome llama cake. Head over to Sweet Darling Cakes Youtube channel to watch other fantastic cake tutorials. Anyone who loves the game Fortnite is going to be wowed by this awesome loot llama. Visit Sugar Hight Score to find out more. 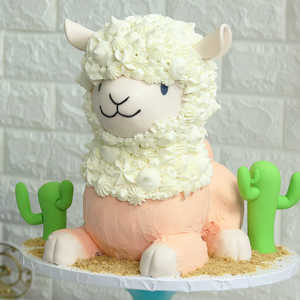 Aww, this has to be one of the cutest llama cakes around! 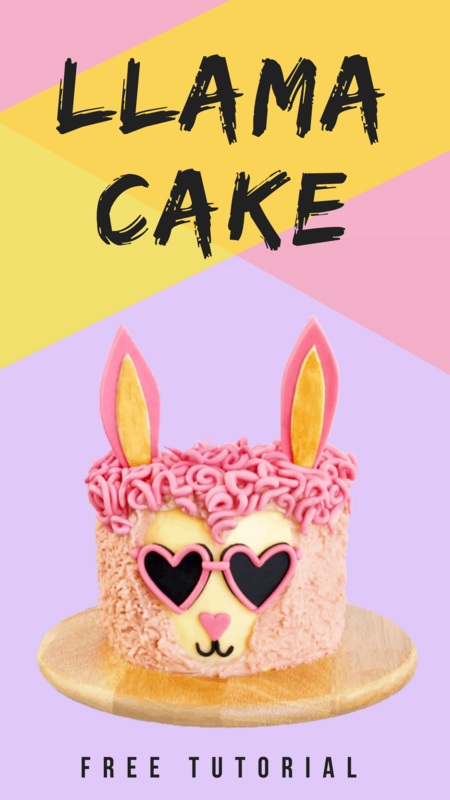 If you are after a llama cake that is different from the llama head style then this could be the one for you. Source found here. 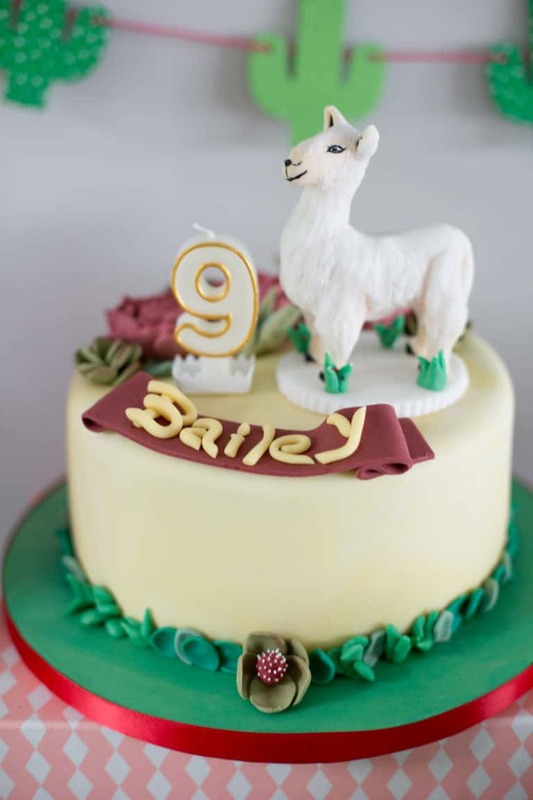 Make a llama out of fondant or find a topper to place on a cake to recreate this llama cake look. There is no tutorial here but lots of photos from an awesome looking llama birthday party. 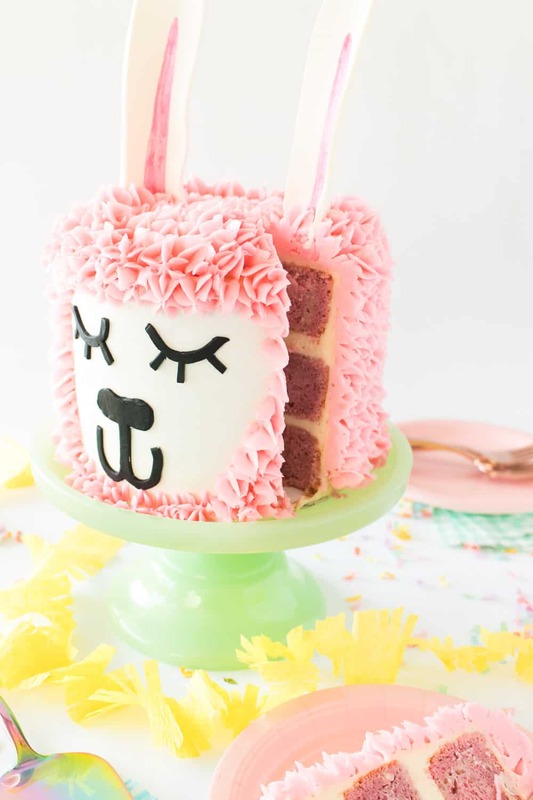 We love how adorable this pink llama cake is and its amazing ears!! Recipe and tutorial are available over at Club Crafted.